Sanitary fittings are reassuring and safety choice for dairy industry. The dairy industries started to widely use nickel austenitic stainless steel in the 1940s, but its application history can get back to 1913. By improving the milk production efficiency, safety operation and process etc, stainless steel has reduced its baseline cost from 100 in 1920s to 55 in 2000. Stainless steel is everywhere in dairy industries in Europe, that’s such a teaching experience for Tarun farm’s visiting: S30400 stainless steel with 8% nickel used in milk equipment, the pipeline of milk transporting, and the big milk tank. And also, the cleaning vessel and plated type cooler are made by stainless steel, they can drop the temperature of the milk about 15°C, then the milk have further cooling in the milk tank. The milk tank on the collecting milk storage was made by stainless steel, as well as the milk packing equipment. In the sanitary fittings and hygienic equipment, all contacting parts with milk are all stainless steel except rubber pad. Considering about the milk and chemical cleaning drugs and local factors, the stainless steel must be anti-corrosion. Tetra Pak company -which provide production and packaging solutions for food and dairy. All of their equipments(including sanitary fittings, tanks etc.) uses stainless steel S31600 except milk tank, caused its better anti-corrosion. Stainless steel 31600 is also suitable for hot milk and the medium of hot cleaning agent and disinfectants which used for cleaning equipment. 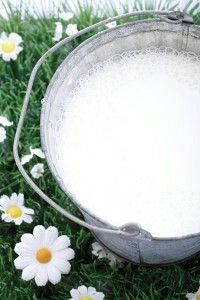 The dairy farmers heated the milk to the temperature of blood, then use cold cleaning agent. In this condition of medium, the stainless steel S30400 has excellent corrosion resistance.